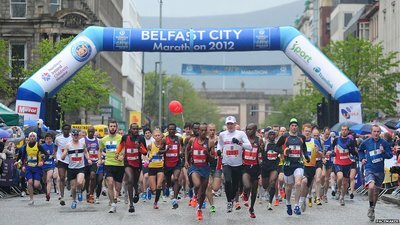 On the 6th May 2013, Innovista Ireland and a team of volunteers will be running the Belfast City Marathon Relay and we would love you to join us! Every teenager should have the opportunity to develop their potential, regardless of their circumstances or where they grow up. Innovista are passionate about equipping teenagers from all backgrounds to discover their potential and become sources of hope in their communities. “Good leaders spend their lives thinking about and serving other people”. Paul realised that to change behaviour you first have to tackle the underlying attitudes. He is now setting up a campaign around respect to change the attitudes that people in his community have toward keeping their community a safe and clean place to live. Through Rise young people like Paul are given practical opportunities to make a difference through planning and carrying out a community project. We’re aiming to raise £2000, which will enable Innovista to deliver Rise in 3 schools and youth groups in the autumn. We want as many teenagers in Dublin as possible to have an opportunity to develop their potential and to bring positive change to their community. Will you take on the challenge and help make this happen? We’re looking for enthusiastic volunteers to raise £100 to make a difference in the lives of teenagers in Dublin. We will provide you with all the tools you need to do this and will keep in touch with you regularly until the big event (you can also keep in touch with the latest race updates here). And if you raise £200, we’ll refund your entry fee! To find out more and to join one of our relay teams, please contact us. Run the Relay for Rise!